Our team is thrilled to announce that Computrols was recently awarded a project that will include integrating to the existing building automation system and installing a new fireman’s override panel at Miami Tower. 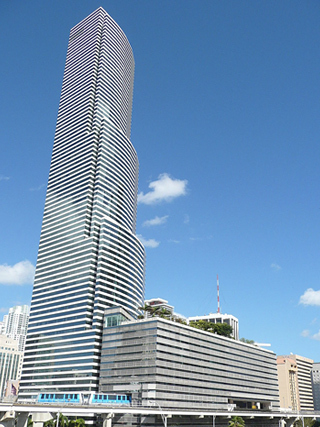 Miami Tower is one of the most prestigious buildings in Miami’s central business district, standing 37 stories tall, situated on top of 10 stories of parking and ground-level retail space. Computrols’ technicians will begin working on the initial interface in April of 2017, communicating to the existing field controllers for the HVAC system. Once installed, Computrols Building Automation Software (CBAS) will enable the facility managers to better regulate the energy usage of their HVAC system, while continuing to maintain a comfortable working environment for their tenants. To complete the integration, Computrols will also be supplying its flagship X-line controllers which carry the industry’s only lifetime warranty on DDC Controls. The fireman’s override panel in the building will also be replaced in the coming months. The new panel, along with Computrols’ 32X-SC, will also integrate with the building’s HVAC system as a means of smoke control/exhaust in the event of a fire. For more information regarding Computrols integration capabilities and fire alarm systems, contact our global headquarters at 504-529-1413.